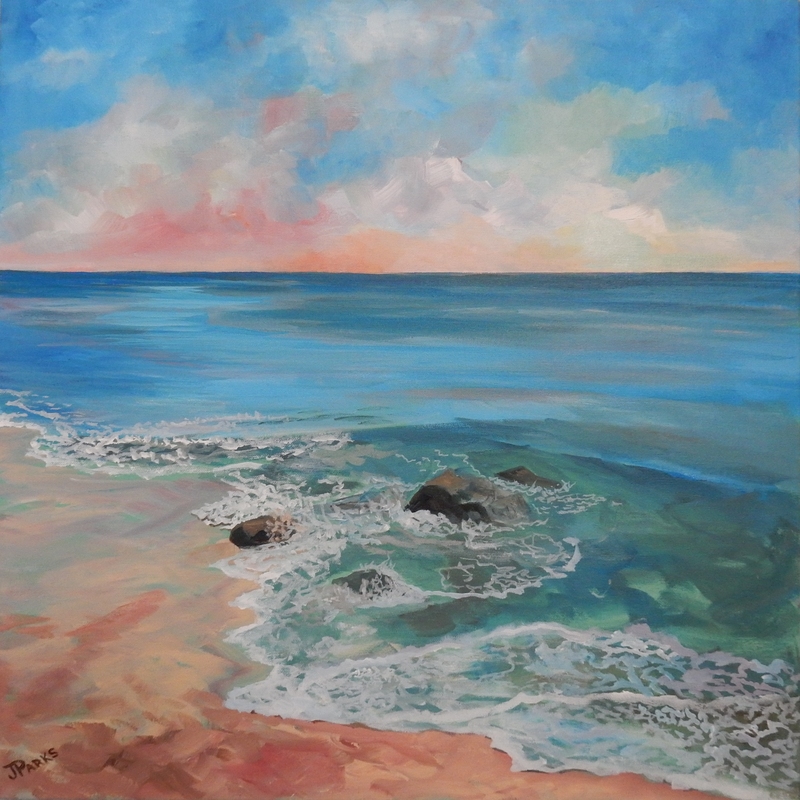 This painting was inspired by a recent walk on Atlantic Beach. No matter how many beaches I visit - from St. John to Bermuda - Atlantic Beach always draws me back. I have memories of visiting this beach with high school friends and playing in the water's edge with my son when he was little. These rocks, near Fort Macon, used to be exposed; we used to climb all over them. Beach re-nourishment has now mostly covered them up but with every storm or hurricane, I suspect they will gradually return.